BUCYRUS — The VITA (Volunteer Income Tax Assistance) Program offers free tax preparation and e-filing of Federal Tax and State Tax returns, including Ohio School District taxes, and assistance with Bucyrus City Tax Returns, to low-to moderate income (approximately $60,000 or less) people who qualify. 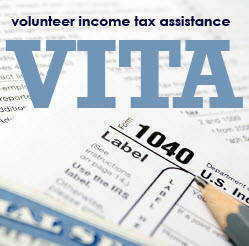 Certified volunteers receive training to help prepare basic tax returns and are qualified to prepare the forms and schedules within the scope of the VITA program. The Bucyrus VITA Site is at a new location this year. Thanks to the graciousness of FC Bank, we will be located on the Second Floor of FC Bank at 105 Washington Square. Parking will be available in the lot north of the bank. Please park at the north end of the lot to allow the bank’s customers use of the spaces closes to the rear entrance. You must bring a copy of your 2017 tax return, Social Security cards for self and spouse, and photo ID for both, and Social Security cards for all dependents. Bring all income documents (i.e. W-2, W-2G, 1099’s, SSA-1099, 1095-A, etc.) for 2018 and any information documents (i.e. estimated tax payments, totaled medical expenses, etc.) you may have for 2018. Remember that some 1099’s are not mailed out until February 15. Be sure you have all the relevant 1099’s before your scheduled appointment.